Downloading the best VPN possible for your computer and mobile in 2019 is a no-brainer. As well as being the ideal service to help you use the internet securely and get around blocked websites, the best VPN providers will also let you access the freshest films and shows in foreign Netflix catalogues, stream in safety and much, much more. An abbreviation of Virtual Private Network, a VPN service allows you to change your IP address to a secure server. That helps to make you more anonymous online and let's you effectively trick your laptop or mobile device into thinking it's in another location. It's no surprise that 2019's best VPN options have become so popular, increasingly being used as a replacement for or in addition to traditional online security. And it's similarly unsurprising that so many VPN services have now come out of the woodwork. Compare the current market to two or three years ago and the amount of options now available to download are overwhelming. Luckily for you, TechRadar has tested and reviewed over a hundred of the best VPN providers (and the worst!) to come up with a definitive top 10, together with key information and specs on each. So whatever you're intending to use your new VPN service for, we'll give you confidence that you're installing the right one and avoiding any that could be potentially be downright dangerous. The best VPN service right now is ExpressVPN. It's the best all-round option for speed, privacy and unblocking websites. A close number two is IPVanish which is another very reliable VPN that we like a lot - particularly the way it handles P2P and torrenting. And the third best VPN for 2019 is NordVPN, which boasts the admirable combination of fast speed and strong security. Read more about these VPN services and more below! ExpressVPN delivered outstanding performance in our speed tests and excellent customer support plus a 30 day money back guarantee. ExpressVPN offers access to more than 3,000 servers in 160 locations across 94 countries, alongside maybe the widest platform support you'll find anywhere. We're not just talking about native clients for Windows, Mac, Linux, plus iOS, Android and even BlackBerry. There's custom firmware for some routers, DNS content-unblocking for a host of streaming media devices and smart TVs, and surprisingly capable VPN browser extensions for anything which can run them. All that functionality could sound intimidating to VPN newbies, but ExpressVPN does more than most to help. An excellent support website is stuffed with detailed guides and tutorials to get you up and running. And if you do have any trouble, 24/7 live chat support is on hand to answer your questions. It really works, too - we got a helpful response from a knowledgeable support agent within a couple of minutes of posting our question. The good news continues elsewhere, with ExpressVPN delivering in almost every area. Bitcoin payments? Of course. P2P support? Yep. Netflix unblocking? Naturally. Industrial-strength encryption, kill switch, DNS leak protection, solid and reliable performance and a clear no-logging policy? You've got it. Downsides? Not many to speak of. The ExpressVPN service supports just three simultaneous connections per user (the industry standard is around five), and it comes with a premium price tag. But if you want a speedy service, crammed with top-notch features, and with all the support you need to help you use them, ExpressVPN will be a great fit. While they don’t have a free trial, ExpressVPN has a no-questions-asked 30-day money back guarantee if you aren’t happy with the service. IPVanish claims to be 'The World's Best VPN', and although we wouldn't quite agree, the service does have some impressive stats: 40,000+ shared IPs, 1,200+ VPN servers in 60+ countries, unlimited P2P traffic, ten simultaneous connections, 24/7 customer support and a 7-day money-back guarantee. The apps are a powerful highlight. Not only are there loads of them (Windows, Mac, Android, iOS, even Fire TV), but they're absolutely stuffed with unusual features, options and settings, trampling all over the horribly basic "list of flags and a Connect button"-type apps you'll usually get elsewhere. The good news continued when we tried some real-world tests. Servers were always up, and connected quickly; download speeds were above average; torrents are supported on every server, and we were able to unblock BBC iPlayer and US Netflix. There are some issues, too. The apps are powerful, but that means there's a lot to learn, and we noticed a few small usability issues. A small number of servers didn't appear to be in the advertised locations. There are no kill switches on the mobile apps, and the price is very much at the premium end of the VPN range. Overall, though, if you need its ten simultaneous connections, or the power and configurability of its apps, take the plunge with this VPN service, and if somehow you end up unhappy you're protected by a 7-day money-back guarantee. Despite being based in a country located in Central America - hardly a tech hub - NordVPN's current products match or beat the competition in just about every area. You get over 5,300 servers in 60+ countries, 2048-bit encryption, 6-device support as standard, strong DNS leak protection, no less than two kill switches (application-specific and system wide), proxy extensions for Chrome and Firefox browsers, and with payment options that include Bitcoin, PayPal and credit cards. There’s also a fast, smart DNS-like SmartPlay feature which can be used to get around geo-restrictions and unblock a large number of streaming and other services. Our performance tests found difficulties connecting to a small number of servers, but once we got online, download speeds were well above average on all but the most distant connections. Support isn't the best, with a relatively weak website and no live chat. But our test email got an accurate and helpful reply within 12 hours, and that's similar to what we'd expect from many other VPNs. NordVPN has four service options available: a monthly subscription, as well as one and two-year plans, and an excellent value three-year special offer as mentioned at the outset. If you want to give the service a whirl before you commit, NordVPN provides a nifty seven-day free trial which is rather hidden away on the website. So if you want something much better than one of the best free VPN choices, Nord is the obvious choice. Hotspot Shield is a decent free VPN, but the commercial Hotspot Shield Premium is a whole lot better. Paying from just $2.99 a month for the two-year plan gets you unlimited bandwidth, full access to 2500+ servers in 25 countries, support for connecting up to 5 devices, 24/ 7 support, and of course absolutely no ads at all. Performance was a major highlight in our tests, with Hotspot Shield's proprietary Catapult Hydra protocol helping to deliver some of the best download speeds we've seen, even from the most distant locations. But there's a problem, too. As Hotspot Shield only uses its own Catapult Hydra protocol, and no longer supports standards like OpenVPN, you can't manually set it up on your router, games console, Chromebook, or anywhere else you might want to use the service. That means the service can only work on devices where you can run its Windows, Mac, Android or iOS apps. There are a few other issues, like no Bitcoin support, a shortage of configuration options in the apps, and an inability to unblock US Netflix, at least during our tests. These won't matter to everyone, though, and if you're just looking for raw speed at a very low price then Hotspot Shield is well worth a look, and the 7-day trial makes it easy to test the service for yourself. As usual, the best value-for-money is the 1-year subscription (note that you will be billed in US dollars), unless you want to commit to the lifetime plan. Romanian and German-based CyberGhost is a popular VPN provider whose mix of power and ease of use has won over more than ten million users. The company covers the basics well, with more than 3,700 servers spread across 60 countries, apps for Windows, Mac, iOS and Android, torrents allowed and speedy live chat support. The task-based app interface is a major highlight. CyberGhost doesn't just leave you to guess which server to use to unblock a website, for instance. Just choose a geo-blocked service from the list - Netflix, Hulu, BBC iPlayer, YouTube, more - and the app automatically connects to the best server and opens a browser window at the target site. Now that's what we call helpful. There are plenty of extras, too. The service can block ads, trackers and malicious websites. Automated HTTPS redirection ensures you're always making the most secure connection. Optional data compression can save money on mobile devices. It's not all good news. The desktop interface can seem complicated, the support site is poor, the desktop trial is a stingy 24 hours and although US and European speeds are good, a few of our long-distance connections barely reached 10Mb. Overall, though, CyberGhost offers you a lot of unusual functionality for a very fair price, and it's well worth a closer look. This focus on simplicity means there's not too much here for demanding users. TunnelBear only offers 20 locations, for instance. There are very few low-level tweaks or settings, not even the ability to change protocol. And if you want to manually set up the service on a router, games console or anything else, the feeble support website leaves you mostly on your own. TunnelBear scores plus points for privacy, too, with the company hiring independent specialists to run a public security audit on its servers, systems and code. If only other providers were that brave. Performance was another highlight, with speedy UK and European servers, solid results from the US, and even the slowest Asian locations managing a very acceptable 20Mbps. TunnelBear even offers a free service, and while that normally limits you to just 500MB of traffic per month, with TechRadar’s special offer you can up that to a far more useful 5GB. Paid plans give you unlimited data and can be had for a reasonable price. Windscribe is a capable VPN service which delivers more than you might expect in many areas. You get clients for Windows, Mac, Android, iOS and Linux, for instance, as well as Chrome, Firefox and Opera extensions, and guides for manually setting up the service on routers, Kodi and more. The network is a good size with locations in 110 cities spread across more than 60 countries. While this sounds great on paper, real-world testing highlighted some problems. Connections times could be slow, and although performance was generally good, some long-distance servers barely managed a crawl. There was mixed news on website unblocking, too: we could view US Netflix, but Windscribe didn't get us access to BBC iPlayer. There's no 24/7 support, either, so any questions you have might not get answered for a while. Although the company does at least point out that it uses its own in-house staff, rather than outsourcing it to some minimum wage worker who just reads off a script, so it could be worth the wait. Windscribe doesn't tick every available box, then, but the service does have a lot of interesting features. If you're looking for a new VPN, use the free plan to find out what Windscribe can do for you. Looking for a bargain? A free plan limits you to ten locations but gives you an exceptionally generous 10GB data allowance a month. Everyone loves a bargain, and Private Internet Access knows it. Its budget pricing means some compromise in features, though not as much as you'd expect. 33 locations makes for a relatively small network, but it's going to be enough for most people. And although you don't get live chat support, there's 24/7 help available via email, and we got a useful response in around two hours. Performance followed the same story, where it wasn't quite the best, but still managed to be better than average, with solid US and European speeds and only some inconsistencies over long-distance connections to mildly spoil the picture. This is all good news, and it gets better in other areas, where Private Internet Access scores very well. There are custom clients for Windows, Mac, Android, iOS and Linux; browser extensions (open source) for Chrome, Firefox and Opera; built-in blocking for ads, trackers and malicious websites; torrents available on all its servers, and the option to pay via Bitcoin if you'd like to stay extra-anonymous. Based in the British Virgin Islands, Surfshark has laid-back and playful branding. But when it comes to keeping you and your online identity secure, it's all business. The basics are all in place for starters. So that includes OpenVPN UDP and TCP, IKEv2 security protocols, AES-256 encryption, and a kill switch ready to stop your details leaking if ever your connection fails. In addition, Surfshark boasts a private DNS and an extra security blanket via a double VPN hop. Not to mention a logging policy whereby only your email address and billing information are kept on record. It's fast, too, whether you're connecting to a US or UK server or somewhere further away - say in Australia and New Zealand. Handy if you're trying to access your Netflix account from abroad. If you're somebody who is easily bamboozled and, ultimately, put off by complicated menus and myriad options, Surfshark could be the best VPN for you. It keeps its interface completely stripped back and free from complication. All you'll really see are options for 'Quick connect' and 'All locations', accompanied by a Settings icon, and nothing else at all really. Whether that level of detail (or lack thereof) is a boon or a drawback entirely depends on your perspective. One of our favorite things about this VPN service (other than the price) is the fact that your subscription covers an unlimited devices and services. So if you plan to use your VPN on your laptop, desktop (compatible with Windows, Mac and Linux), tablet, a couple of mobile phones (iOS and Android both covered) and Amazon Fire TV Stick for watching overseas TV, the one account will cover you on all of them simultaneously. Swiss-based VyprVPN is a well-specified service which boasts 73 server locations and a stack of unusual high-end features. The company has its own zero-knowledge DNS service, for instance. Its proprietary Chameleon protocol could help you get online even in VPN-blocking countries like China and Iran. And platform support covers everything from the regular Windows, Mac, Android and iOS apps, to routers, Android TV, QNAP, Blackphone, Anonabox and more. Download speeds are mostly high, too, with only a few of the more unusual and out-of-the-way locations - Taiwan, Macao, the Maldives - lagging behind the rest. Even they managed around 8-10Mb, enough for many tasks. There's more good news if you're looking for website unblocking, with the service giving us easy access to US Netflix and BBC iPlayer. Notable down sides included some session logging (connection times, IP addresses and so on are kept for 30 days), and the possibility that your account will be locked if, say, your IP address is reported for downloading an illegal torrent. (The DMCA agent won't know who you are, but there's still a chance your account could be terminated if you're caught more than once.) Real-world issues during our tests included four servers which wouldn't accept connections, and four more which didn't seem to be in the countries VyprVPN claimed they should be (that may have been an issue with the test, but it's still a concern). VyprVPN isn't quite perfect, then, but there's a lot to like, and if you can live with the time-limited logging it's a must for your service shortlist. VPN services: what will they let me watch? As well as keeping you safe and sound while browsing the web, VPNs are also handy for catching your favourite TV shows and live sports while you're out of the country. If you've ever tried to stream something on your tablet while on holiday only be told that rights restrictions mean you can't then this is for you! Changing your IP address to your homeland will get around the problem. If the letters 'VPN' still mean nothing to you, we've answered some commonly asked questions about the software below so that you can decide whether or not you should download one. VPN services: what actually are they? VPN is one of those tech terms and has gained a lot of traction in recent years as the internet has diversified and grown to even bigger levels. VPN stands for ‘virtual private networking’, which is a popular internet security method. The latter involves technologies that aim to add a layer of security to both private and public networks. These include broadband and internet hotspots. A VPN (virtual private network) is therefore a secure and private solution within the wider internet itself that allows users – whether they are individuals, or part of an organisation, or business – to send and receive data while maintaining the secrecy of a private network. That means you could use one to create a secure "tunnel" into your company network to enjoy access to private internal systems, but also means you could browse in complete privacy online and access content you might otherwise not be able to get such as Netflix or BBC iPlayer. All the traffic that passes through your VPN connection is secure and cannot, in theory, be intercepted by anyone else, making it the safest mainstream way to browse the web privately (but not always anonymously). Just bear in mind though that VPN setups are only as secure as the weakest link in the entire chain. So if your device has already been compromised with malware already, using a VPN won't save you from being spied upon, although a good antivirus could. VPN services: what can I use them for? If there’s one worry when it comes to using technology and the internet, it’s privacy. By using a VPN, you can, in theory, prevent your internet service provider (ISP) and government from seeing your internet history. VPNs have also emerged as a popular tool in the freedom of speech movement. You’re able to avoid censorship within organisations (check out our best China VPN page, for more information on that) and from third-parties. For example, if you have a view that goes against the priorities of your employer, you don’t have to worry about them finding out. People also use VPN technology to “geo-spoof” their location. This results in users customising their location settings to be able to use overseas services. A great example of this is watching a TV programme or online product that’s only available in a specific country, perhaps due to legal or licensing issues - that's why using a VPN for Netflix has become so popular. You can resort to a VPN to protect yourself from hackers too. If you’re outside and sign up to use a public internet hotspot - perhaps in a cafe or library - there is the chance someone could try to break into your device. This can lead to you losing valuable data, such as passwords. This technology is also emerging as a popular force in the world of business. When you’re traveling around for meetings all the time, it’s normal to connect to third-party networks. With a VPN, you can access your firm’s intranet without the worry of being targeted by cyber criminals. Many VPN services - there are about 400 of them on mobile and desktop - offer different pros and cons, so if you're looking to access Hulu or BBC iPlayer from a different region, dial into your office network or simply stay safe and secure online, you'll find a service tailored precisely to your needs. Furthermore, a VPN can be used to avoid having your internet connection throttled, and that’s certainly relevant at the moment given what Verizon is up to over in the States. According to reports, the ISP has capped Netflix streaming at 10Mbps, and also throttled video on its unlimited plans meaning that smartphone viewers can’t achieve a better quality than 480p. One provider, NordVPN, reckons that some users have seen their Netflix streaming speeds triple by employing a VPN to bypass Verizon’s throttling. That’s certainly food for thought. It’s also interesting to note that while phishing remains a major danger online, a VPN can help protect you against malware or con tricks when web browsing. Free vs. paid VPN: Which is truly better? Some companies now offer a basic service that won't cost you anything at all. Are the free VPN services as good as their paid-for counterparts then? Not so fast. As you'd expect, there are catches, and they typically start with a data cap. Avira Phantom VPN's free plan limits you to 500MB a month, PrivateTunnel offers 2GB, whereas ZPN has a generous 10GB allowance - not bad at all. Free products also typically have usage restrictions. Most companies don't want you to soak up all their bandwidth on torrents, so ZPN is typical in blocking P2P. Hide.me's 2GB free plan also has some common limits. There's "best effort" bandwidth, which means paying customers have speed priority and you get what's left. And the choice of locations is limited to three: Canada, Netherlands and Singapore. Hola's free-for-personal-use plan doesn't have the same kind of restrictions, but even here there's a catch. The service routes traffic through its free users rather than dedicated servers, so signing up allows others to (securely) share a small part of your bandwidth and resources. Then there's the adverts and the session limits (CyberGhost) and the general lack of service level agreement: free means that it doesn't come with any implicit warranties. Free plans are fine for simple needs, then - maybe protecting your laptop's wireless hotspot traffic on the occasional trip - but if you're looking for anything more advanced, a commercial product is best. The immediate benefit is that you know your personal data remains safe, even if you're on a public Wi-Fi hotspot. Local snoopers might be able to see the connection, but there's no way to find out what it is or where it's going. VPNs also give you a new digital identity in the shape of an IP address from another country. This makes it harder for websites or anyone else to track you, allows some people to bypass government censorship, and helps the rest of us avoid those "not available in your country" messages on YouTube or other streaming sites. Best of all, despite the low-level network technology involved, you don't need to be any kind of expert to make VPNs work. For the most part, all you have to do is choose the country where you'd like an IP address, click Connect to start, Disconnect when you're done - and that's it. Choosing a VPN service can be tricky if you are not well versed in the technical lingo used by the service providers. There are several factors to consider when you're choosing a paid VPN. Here are six tips. 1. Does the plan have servers in every country and region you need? Having more than one server in a country can help spread the load, but doesn't guarantee improved performance, so don't assume a plan with 500 servers will automatically beat another with 100. 2. Check the number of simultaneous connections supported. Typically, this is 3-5, which allows you to have a PC, mobile and tablet connected at the same time. But beware, many companies say this is for a single user only, and they all have fair usage policies to prevent people hogging resources. If you let the entire family download and stream videos separately then you'll run into trouble. 3. Some providers list the connection protocols they use. OpenVPN and IKeV2 are good choices, fast and secure. You might see SSTP and the older PPTP, as well as protocol options (TCP or UDP for OpenVPN). You don't need to understand the low-level details, but having the extra choice can help the service make faster and/or more reliable connections. 5. It's important to consider the client, the software which handles your connections. These all have a list of servers and a Connect/ Disconnect button, but could you use more? Some clients display server load and ping time in the interface, helping you choose the right server. Regular users might appreciate a "Favourites" system to save and recall specific servers. If you know what you're doing, having access to low-level network settings will help you tune the whole system. 6. Finally, there's the price. Beware of apparently cheap deals: these may have restricted features, exclude taxes, be discounted for the first billing period only, and renew automatically, so that apparent one-off £3.99 might become almost £10 next month. Look for a 'Pricing' link, read the small print, and if possible use something like PayPal where it's easy to check and cancel a subscription yourself. Once you've found what looks like a good VPN candidate, be sure to take it for a trial before you spend any big money. But a short trial can only tell you so much, so once that's expired, pay for a month, run as many tests as you can, then upgrade to a better value plan (usually yearly) if you're still happy. We were looking for features, value, and clear and honest pricing. Free ways to learn more about a service - free plans, trial periods, refund periods - were important, and we also looked for companies which maintain your privacy when you signed up (no email address required, trials available without credit cards, Bitcoin available as a payment option). VPN performance is difficult to measure as there are so many variables, but we used multiple techniques to try and get a feel for each service's abilities. We first used speedtest.net to measure the latency, upload and download speeds for a distant connection (typically UK to California), repeated the test immediately with the VPN turned off, and looked at any changes. We followed this up with a much shorter connection (typically UK to Netherlands) to see a more typical peak performance, ran a second benchmark to confirm our results, and ran some general browsing tests - including streaming HD video - to look for other problems. VPNs will always give you a new IP address, but some services may have DNS or other leaks which give clues about your identity. We visited IPLeak.net and other privacy sites to look for problems. In terms of the client and interface, we were looking for good server selection tools (by country, region, server, speed, with filters, a Favourites system, perhaps with server load or ping time displayed), with plenty of configuration options, but also a client which stays out of the way until it's needed. 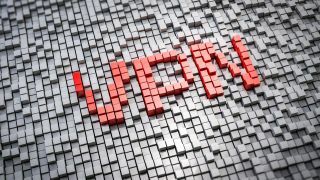 Finally, we weighed up these individual factors, came up with an overall score, and narrowed these down to the 10 best VPNs around. All the software in the top five scored at least 70 points out of 100.